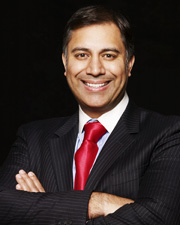 As a practicing dentist, i am passionately dedicated to improving the lives of my patients. Serving as clinical director of Arch Dental Associates offices in New York since 1995, My goal is to provide the best care possible to all my patients. I treat my patients as though they are my family. I will do everything I can to help patients navigate through the complexity of their care. I always try to explain medical problems in terms that patients can understand. As a true family dentist, I have diverse expertise and interests and chances are, I can explain things in ways that make good sense to you. I believe that each patient is a complex individual with his/her own unique set of needs. What this really means is that I care about how you feel, how you want to be treated. I don't just treat your symptoms and conditions; I treat the complete you. Unlike, most modern days dentists, I do spend the amount of time that my patients need and address all of their concerns. I understand that when you need to see your doctor, you don't want to wait 1 to 2 months for an appointment. My office always has same day appointments available for emergencies. My staff and I always work hard to ensure that your waiting time in the office is minimal. I do see many walk-in patients, but as I have other duties, please try to call for my availability before you come. I also hold a number of fellowships at institutions such as the American Academy of Implant Dentistry. I received Bachelor of Science degree from SUNY at Stony Brook and Doctor of Dental Surgery (D.D.S.) from New York University College of Dentistry. I completed residency and fellowship in Oral and Dental Implantology at Brookdale Hospital Medical Center, where i served as chief resident. My postgraduate studies were in advanced IV anesthesia at Albert Einstein School of Medicine and Montefiore Hospital Medical Center, New York City. I hold diplomate status at both The International Congress of Oral Implantologists and the American Board of Oral Implantology/Implant Dentistry, where i also served as a board examiner. I am a fellow of the American Academy of Implant Dentistry and currently serve as an editor of the Academy s Research Publication, Journal of Oral Implantology; and serve on the board or several other publications including The Huffington Post. Dental Sleep Medicine and dedicated to researching new avenues for sleep apnea treatment both in dentistry and sleep medicine.